If minecraft was real life. Also the men have to mine for their family and once their son is a teenager (That's if they do have a son) then he has to help his father mine everyday. Women and girls have to harvest food for their family, and rarely have to butcher animals for meat. If they had a son that was still a child the father would teach him how to make traps and slay animals. They would only be able to use a wooden sword because if they had a stone sword or iron sword they could accidently cut themselves. Richer families would be able to afford diamond tools and weapons/armour. And would hire slaves to harvest and mine for them. There would also be a market in every city. There families could buy food, ingrediants and tools. Also, only small children would have to go to school, once they hit a teenager then they have to help around the house more. Well this is a good idea, but i'm sure that no one wants to live in a world when if your getting a soda at a gas station you could die. but good job. I like the idea. Wait then who gets Creative? The owners of life? I would totally BOSS at it. I would probably be a rich child, (Although I'm not rich rich IRL) and probably have good enchants on my stuff! :D Very nice blog! Hmm yes. That's a very clever idea. People are giving diamonds just away as if its nothing, and self are begging for them, but if you don't have them, how to give them away!? I am MineCraftatron and this is my friend Steve. We are Minecraftians and we came from the planet PlanetMinecraft, and yes our planet's name is "PlanetMinecraft". xD Thats what it would be like. I dunno. It was just a thought. Pretty nice blog. Seems very well thought out, although i would probably not like to live there! Hmm... Yeah just I wouldn't want to live in that. Sounds like the Medivial period... except you can die easily... What? Good job Dino you put a lot of thought into it. It almost sounds like the dark ages in pixel formate if you think about it. Can't wait to hear more from you. Possibly about skinners, the skinning community and good unrecognized skinners. As you are a Skinner, like me. You mean the image? I just found it then put the words. you just earned a subscriber. 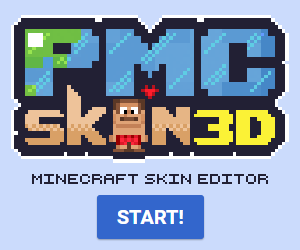 The main religion would be the Sect of Notch, but there would be like a Cult of the Herobrine. You would have to use redstone as a source of power, if you're very rich. More than sand and gravel would fall/be affected by gravity. I.E. Dirt, wood, etc. You would either have to buy new stuff or have surgery to change your appearance. There would be more diseases. MANY more. Also, you couldn't just eat something that falls off of a zombie. That'd kill you. Zombies would infect you, not just kill you. Battles would be on a MUCH MUCH larger scale. People in the billions, scattered around the world. All I have thought of at the moment. PLEASE INSERT 75 CENTS OR TWO TACOS TO CONTINUE. Sounds like medieval to me. 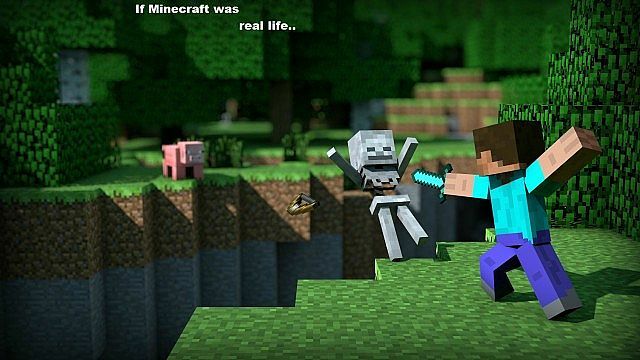 What IF: Minecraft took place in modern times?